During the housing slump, potential investors could not expect to find many new homes being constructed in the Orlando area. 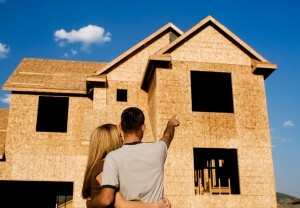 Now, the pace of home construction here is surpassing nearly every other metropolitan area in the United States! Along the streets of Winter Park, rows of dilapidated old homes are being bulldozed to make way for contemporary, custom-built houses. At Reunion Resort in Osceola County, buyers have been competing to reserve their own lots, even though their new home won’t be completed for another 18 months. Houses that are twice as big as the average home in Orlando are being sold; many feature ornate kitchen designs and multiple staircases. Out of more than 360 metropolitan areas in the U.S., Orlando’s reported building-permit activity outpaced all but four in the second quarter of 2013. In the four-county metro area, the number of permits issued for single-family homes increased by 3,085–more than the reported growth seen in larger housing markets like Dallas, Houston, Atlanta, and Washington D.C. 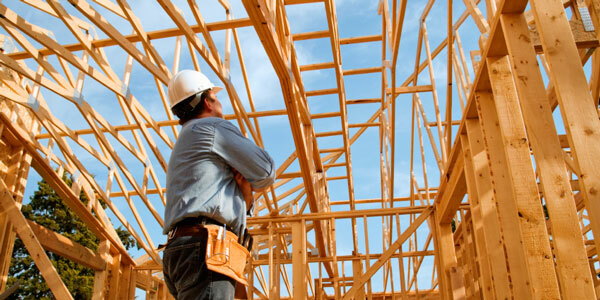 In 2012, government-issued permits for homes, apartments, and townhomes totaled 12,000 for the Orlando Metro area. While that was four times the total reported for 2009, it was still not even close to the 36,137 permits that were issued at the peak of the housing bubble in 2006. Recovery efforts in Osceola County have been strong, and new developments sparking up in the southern Lake County communities of Minneola, Clermont, and Groveland are quite promising. In fact, a significant chunk of the property that was fiscally underwater following the real estate slump has now been sold, aside from properties in the far reaches of the metro area. One of Royal Oaks Homes best sellers is a 4,700 square foot home model featuring a 12-foot-long kitchen island and two stairways. According to new-home analyst Anthony Crocco, these are selling well because Orlando is a “big box” market. This means that there are a lot of buyers interested in small lots that contain bigger homes that can accommodate multi-generational families. As the regional director of Metrostudy, Crocco believes that Orlando has hit its historic stride of about 10,000 single-family home starts per year. With Seminole County already built out, enterprising developers are staking their claims farther out in southeast Orange, south Lake, and west Volusia counties. He also added that there is a wealth of lots available in East Orange. The latest housing boom has come only four years after the housing market had quite literally ground to a halt in Central Florida, leaving many promising developments abandoned. At its worst point, developers were putting up one tenth the number of homes they had produced during the peak of the housing bubble. With the housing market experiencing such a positive turnaround, some developers are actually finding it as difficult to secure a construction crew in Central Florida as it is to find a good property lot. Good construction crews are hard to come by, since many of them relocated to other parts of the country following the market slump. In particular, Bavec says securing a good framer could cost you at the moment. Of course plenty of people view the market situation as volatile, and it is hard to predict how long this boom might last. David Guarino, a financial analyst working for Ledford Wealth Management Group in Orlando, says there are some concerns about the sustained formation of new jobs. Despite those worries, he says there are still plenty of opportunities for property developers, because the housing inventory is still quite low. Plus, many of the buyers who are looking at Florida are retired or looking for a vacation home, so they should not be as impacted by job availability as other markets around the U.S.